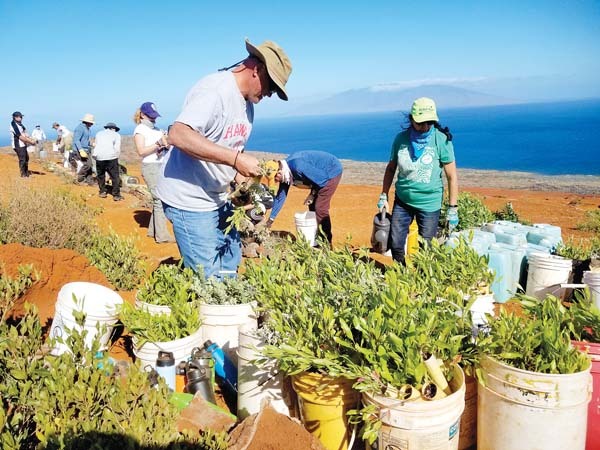 Na Mamo O Mu’olea’s ninth annual Hana Limu Festival will be held Friday and Saturday at Kapueokahi Beach in Hana Bay Beach Park. A Friday night Talk Story will take place from 5:30 to 8:30 p.m. Speakers include LorMona Meredith, coordinator of Polynesian Voyaging Society’s Promise to the Pae’aina and Hokule’a Capt. Russell Amimoto and crew; Luka Kanahele Mossman of the Kanaka’ole Foundation; members of the Kipahulu and Mo’omomi communities sharing their stories about becoming Community Based Subsistence Fishing Areas; and Chris Bird, who will share information about the success of East Maui voluntary opihi rest areas. Saturday will include hands-on keiki and ohana activities from 10 a.m. to 3:30 p.m. Hokule’a and crew will be available for talk story and tours (weather permitting); tide pool touch tanks to learn to recognize different species of native limu; hula and live music by CJ Helekahi, Kuaola, Halemanu and others; a silent auction benefiting the Isabelle Aiona Abbott Scholarship for the opio of Hana; handcrafted, Hana-made items by local artists; games, crafts, food and interactive science and cultural activities.